The Coldwell Community Foundation attracts, receives, and accumulates charitable gifts in a permanent capital fund, and on an annual basis distributes income from those funds to charitable community groups for projects designed with the purpose of strengthening and improving the quality of life in the Rural Municipality of Coldwell. Why do people give to their Community Foundation? To build for the future, supporting youth, seniors, heritage, health, recreation, culture, education, environment and more. To “give back” to the community which has nurtured, supported and facilitated the healthy lifestyle our families have enjoyed here since the community was first established. What kinds of projects are eligible for support from the Foundation? Gifts can be directed to a specific area of special interest to the giver. The revenues generated will be made available to the specified organization. An unrestricted gift allows the Board to research current grant applications and each year disperse available investment income to community groups submitting proposals. How do I make a Gift to the Foundation? 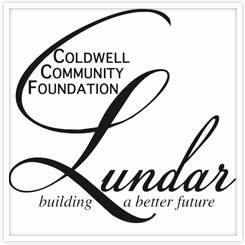 Thank you to The Winnipeg Foundation who provides a charitable tax receipt and directs all gifts to this fund to the Coldwell Lundar Community Foundation Inc.